Sometimes, when you have a rock, you need to embrace it. And that’s just what this house does. Built around this large boulder that was existing on the site, it could be a gimmick house, the rock being no different than a fancy staircase of marble or an out-of-place chandelier. Instead, there’s a wonderful balance and duality that is created that has the rock both be the metaphorical and physical heart of the home while also, in a way, disappearing into the background. The simple and elegant frame is the key here. 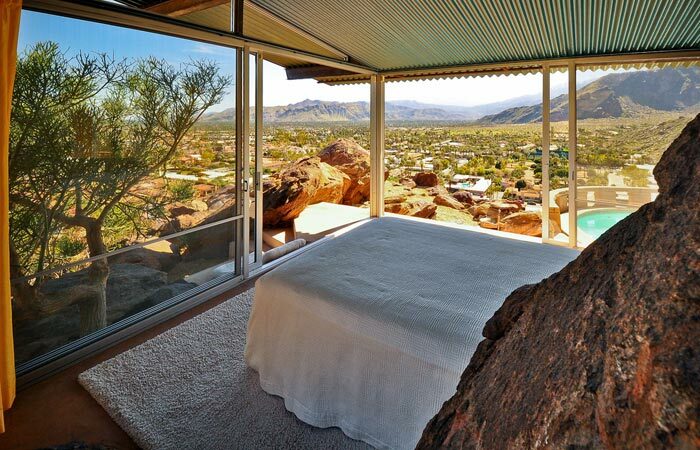 Lightweight and straightforward, the corrugated metal roofing, the thin steel framing, and especially the increadibly generous amount of glass play off the ruggedness of the rocks both inside and outside of the house. These clean and repetitive lines are a perfect foil to the natural rough textures of the desert landscape, heightening the experience of one another. 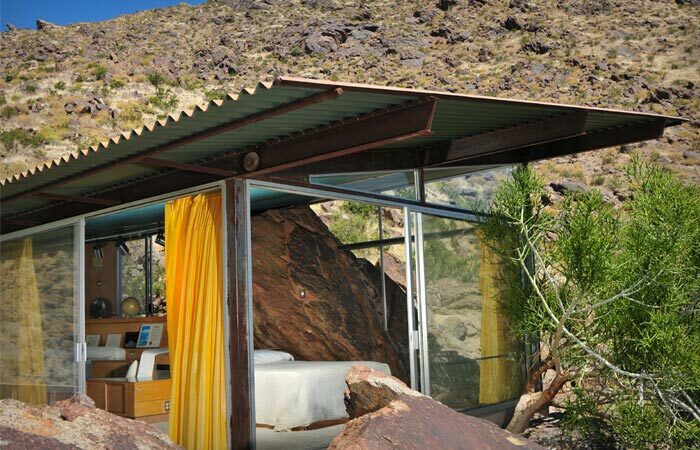 At the same time, the rock within unites with the view of rocks out the window, joining the two together, and it is in this way that the still proudly jutting rock that the house envelops fades away. Coupled with the large sliding panels that open up corners of the house completely, the space inside expands outwards towards the mountains on the horizon. While the house is small, it never feels small. Beyond the indoor/outdoor connection mentioned above, the elegant built-in furniture keeps everything tidy and makes the most of its small size. Pinwheeling around the boulder, the furniture here too maintains a duality of keeping the rock at the centre while orienting the activities and attention to the rugged beauty just beyond the building’s confines. 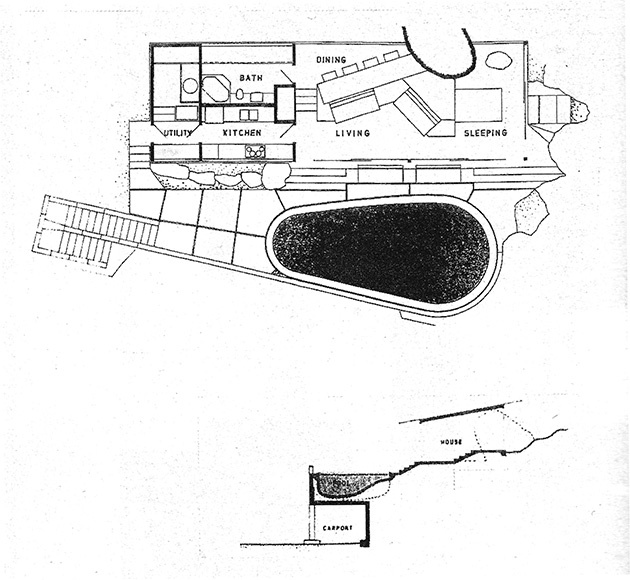 The conceptual foundation of an architectural design can be anything, even “a rock”. Follow through with skill and care, and you end up with glorious space that is a delight to be in. The Frey House II by Albert Frey.